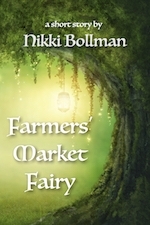 On a trip to the farmers’ market, Lily discovers a secret stall that sells fairies. She’s eager to have one, but it escapes from its jar, even though she’s told never to let it out. 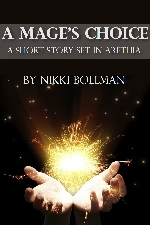 She must deal with the consequences and find out how to live happily with her fairy. 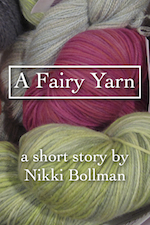 This story also appears in the short story collection Fairy Stories. 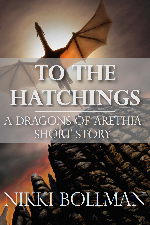 The following short stories are set in the country of Arethia, the setting for my novels in the Dragons of Arethia trilogy. 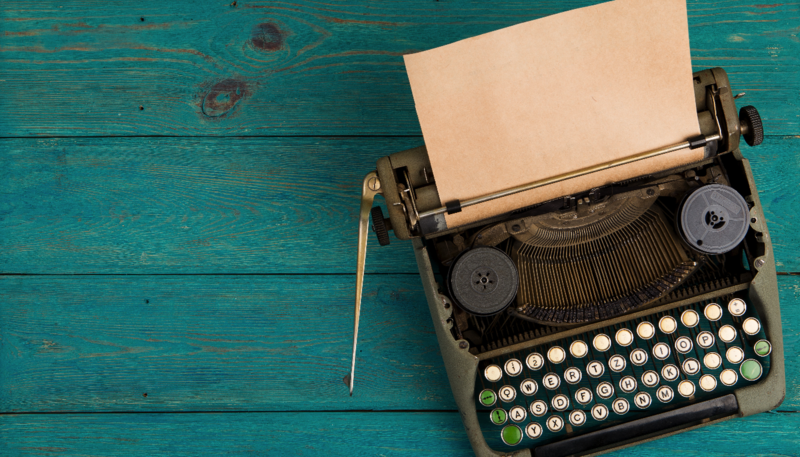 Some of the stories have dragons in them, and others are from a time before or after the dragons existed. Nicolas struggles to care for his ailing mother, beset by a sickness that affects only his people, the Senemi. Although the Senemi people are believed to be incapable of performing magic, Nicolas has discovered that he can. He secretly studies magic, and when given the chance to study at the university, he must make a difficult choice. Read on Amazon for $0.99. Muri wants to be a dragon rider. She has traded all of her savings for a trip to the city of Areth to attend the hatchings, the ceremony that decides which women will become riders. Along the way, she befriends Emy, one of the daughters in the family of traders whose wagon she’s bought a ride on. Together, they face the possibilities of a new life in Arethia — but will it be as a dragon rider? Read for free on Wattpad.